My choice was integrity. I can’t picture being blindly loyal to someone. I believe that if someone really deserves my loyalty, then they would respect the boundaries of my integrity and never expect me to cross those lines. If a person does not respect me enough to respect that my sense of integrity comes first and that it MUST remain intact, then it shows a lack of integrity on their part. I grew up in circumstances where the people who were supposed to be trustworthy were not, and I am still cautious about trusting people. In response to those circumstances, integrity became my watchword. I absolutely refuse to become one of those untrustworthy people that surrounded me as I grew up. I believe that integrity is vital. It is not something that can be stripped away; it is part of me. It forms a such a large part of my identity that it is literally the first thing that comes to my mind when asked what my defining characteristic is. I am trying very hard to instill the value of integrity into my own child. I was saddened tonight after a misunderstanding with a new-ish friend who thought I had an intention to breach my integrity. While the misunderstanding has been cleared up, it left me pondering about the state of integrity in our culture. I am not upset that I was thought to be in breach of integrity, because it was truly a misunderstanding and misunderstandings can be repaired. Instead, I am sad that my friend has lived a life where broken trust and dishonesty are both anticipated and expected. Over and over again I come up against situations where I have had to have conversations with my child about the importance of maintaining integrity even though it is breached everywhere we turn. Over and over again I explain to him that trust is so much harder to repair that it is to maintain. We have conversations about the reason that some people don’t seem to think that integrity means anything. 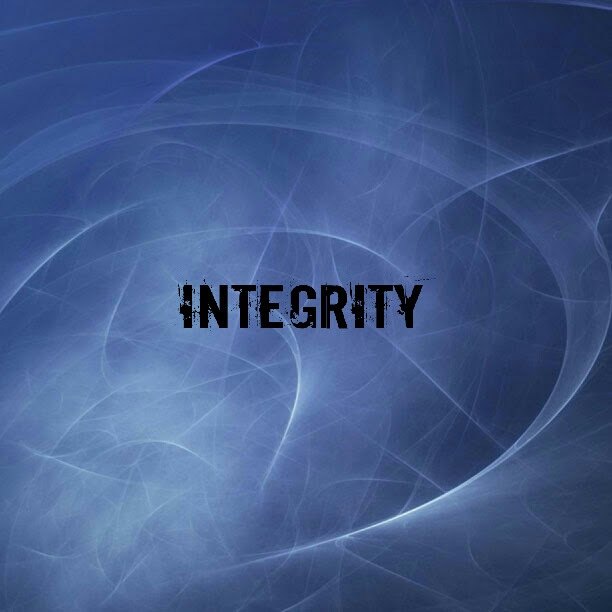 We have conversations about what it means to have integrity in the business and/or the workplace, so that people can trust that you’ll do your job to the best of your ability and that your word can be trusted. We have conversations about the importance of integrity in relationships with both friends and family. We have conversations about the things that might lead a person to lack integrity, and why ours should be maintained regardless. I don’t really know where I’m going with this post; I just needed to get it off my chest. I really hope that future generations will find the value in integrity that seems to be so diminished in our current society.